Last week, I complained that 860 Nigerian workers at ExxonMobil (Nigeria) are being treated like orphans in Nigeria, their home-country. They have fought this injustice with fortitude and resilience in the courts for 18 long years, during which 171 of them died along the way (one more since last week). In court, ExxonMobil denied that the workers are its employees. It claimed instead that they are “SPY Police”, in the attempt to circumvent its lawful commitments to them. The Nigerian workers, on the other hand, maintained they were directly employed by ExxonMobil and, therefore, should be treated as ExxonMobil staff. This case has gone all the way to the Supreme Court of Nigeria. In April 2018, the Supreme Court finally rejected ExxonMobil’s denials outrightly. It affirmed that the Nigerian workers are bona fide staff of ExxonMobil. Therefore, it ruled that they are entitled to every benefit applicable to other ExxonMobil personnel in other departments of the company and must be paid accordingly. However, instead of abiding by this verdict of the apex court of Nigeria, ExxonMobil took the outrageous step of sacking 507 of the workers in one day; locking them all out of its building. When the workers protested by picketing ExxonMobil outfits, the multinational had the audacity to take to the Industrial Court of Nigeria the same matter that had already been adjudicated by the Supreme Court. The Industrial Court also threw out ExxonMobil’s case, affirming the right of the workers to picket. Nevertheless, ExxonMobil has refused to budge. However, the message Chris Ngige delivered to ExxonMobil loud and clear is that it does not have to be subject to Nigerian laws. It can operate here in Nigeria as a law unto itself. Instead of fighting for the rights of the Nigerian workers in Nigeria, Chris Ngige, the minister for Labour and Employment, is fighting for the rights of ExxonMobil, a foreign multinational in Nigeria. On the very day my article was published last week, Chris Ngige, convened a hurried meeting of the parties in the dispute. However, rather than tell ExxonMobil it has to obey the verdict of the Supreme Court, he presented a settlement package contravening the position of the Supreme Court. The Supreme Court said the Nigerian workers should not regarded as “SPY Police” but as bona fide Exxon Mobil employees. But Ngige said they should be regarded as “SPY Police.” This means they would be paid based on police or civil service structures, instead of those of an international oil company. He then gave the workers 48 hours to stop their protest before any of the so-called benefits he itemised for them can be paid. Contrary to what has been presented in ExxonMobil newspaper advertorials and in the circular of the Ministry of Labour and Employment, the representatives of the striking workers have rejected in totality this one-sided intervention of Chris Ngige. This immediately raises certain fundamental questions. What exactly is the job description of a Nigerian minister of Labour and Employment? How does the honourable minister, Chris Ngige, understand the requirements of his job? Is a Nigerian minister of Labour and Employment supposed to fight for a foreign multinational in Nigeria against the interests of Nigerian workers; or is he expected to fight for Nigerian workers against a foreign multinational? Does a Nigerian minister have the right or the power to contravene a decision of the Supreme Court of Nigeria? These questions are rhetorical because the answers are obvious. Chris Ngige as minster of Labour and Employment must fight to protect oppressed Nigerian workers against oppressive multinationals like ExxonMobil. Chris Ngige is duty-bound to promote employment in Nigeria and not to preside over the indiscriminate dismissal of hundreds of Nigerian workers by a prejudicial company. Chris Ngige has no right whatsoever to contravene a decision of the Supreme Court of Nigeria; one that the workers fought for tooth and nail to obtain over a period of 18 years. If Chris Ngige cannot fulfill the basic requirements of his job as minister of Labour and Employment, he should resign. What happens to Nigerians when we come to positions of power? Why are we so quick to forget our roots? Why do we so easily betray our own people? Why do we give preferential treatment to foreigners and discriminate against our own people, Nigerians, in our own land? Chris Ngige is an honourable man. I know people who vouch for him. They claim to know him from his earlier humble beginnings. Some claimed to have been his neighbours when he allegedly lived in 1004 estate in Victoria Island, Lagos. We watched as the grace of God took him to the position of governor of Anambra State. We rallied to his support when he suffered persecution, even in that exalted position. When he broke ranks with his political godfather, Chris Uba, an attempt was made to kidnap and remove him from office unlawfully. A counterfeit letter of resignation from him was presented to the State legislature. We all rallied to his support on the grounds that such grand larceny should not hold in Nigeria. Ngige went on to be one of the best governors in Nigeria. He has a legacy of populist programmes, particularly in the area of road construction. However, his stint as governor was truncated by an election tribunal that nullified his 2003 victory. Ngige appealed to the Federal Court of Appeal, but the annulment of his victory was upheld. What happened is that Ngige became minister of Labour and Employment and, judging by his recent action with regard to the matter of ExxonMobil and its Nigerian security detail, forgot his roots. Ngige accepted the verdict of the courts in good faith. Why can’t the same Ngige insist that ExxonMobil must accept the verdict of the Nigerian Supreme Court? What happened to the Ngige of old who was a darling of Anambrarians and Nigerians? What happened to the Ngige who the people went on to elect as senator of Anambra Central? 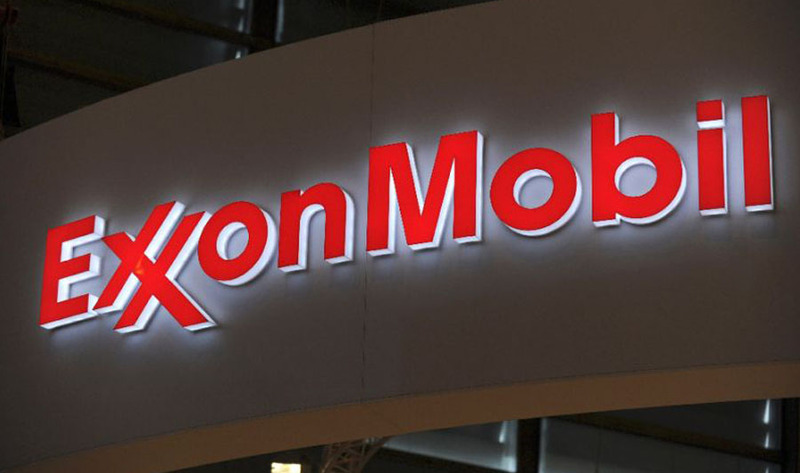 ExxonMobil operates an apartheid policy between its contract staff and its regular employees. On the company bus, regular employees are given priority seating. Contract staff have leprosy. They are not allowed to seat with regular employees. They cannot even enter ExxonMobil buildings before the regular employees. So many benefits are denied them. Some worked for ExxonMobil for over 20 years as contract staff, never confirmed as regular staff so that ExxonMobil could continue to deny them the full entitlements of regular staff. With the fear of the passage of the Petroleum Industry Bill (PIB), which stipulates that contract staff should not be left hanging without being offered full employment after two years, ExxonMobil now has the policy of firing all its contract staff within two years. The same contract staff are then re-employed, so that on paper they are presented as new contract employees. This ensures they are not entitled to company benefits indefinitely, not even maternity leave. ExxonMobil routinely fires its Nigerian staff without any notice. It fires some by email with immediate effect. Once fired, you are barred from the company’s offices and facilities. You are simply locked out. This is what happened to its security details. It invited them to a decoy meeting in an outside hotel. It then told them to expect an email from the company. When they came back from the meeting, they had been locked out of their stations. They were not even allowed to collect the belongings they left behind. Then there is the discrimination between whites and blacks. They call the whites experts, pay them more with mouth-watering benefits, while the Nigerians are given second-class positions. But then the so-called experts have to rely on the Nigerians to tell them what to do. Inside ExxonMobil, Nigerians with full status are pitched against contract-staff Nigerians in a classic policy of divide-and-rule. Outside the company, ExxonMobil relies on the Chris Ngiges of Nigeria to be its advocate in government in order to keep its Nigerian workers down.